How much do you know about the lymphatic system? The lymphatic system is a bit under-rated and unrecognized, but its job is huge. And it’s impact on your beauty is serious. A huge network of vessels that extends throughout the body, the lymphatic system is the largest detoxification system in the body. It also regulates the immune system, affects the health of our nervous system and carries progesterone throughout our body. If the lymphatic system is not working properly, our health and beauty is going to suffer. In fact, our cells are going to be surrounded by a toxic swamp that is going to affect every single cellular reaction in the body – and accelerating the aging process and aggravating acne. What are a few symptoms of a poorly functioning lymphatic system? How does a poorly functioning lymphatic system impact our beauty? 1. The lymph is a main transport mechanism for progesterone throughout the body. 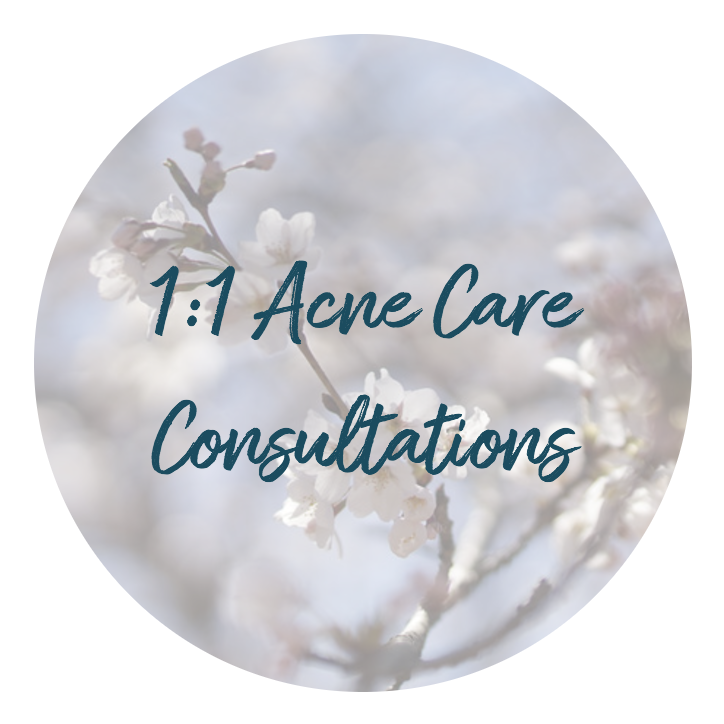 If the lymph is not working properly, progesterone will get get to where it needs to go, which will contribute to progesterone-deficiency symptoms – and hormonal acne will be aggravated. 2. There are many lymph nodes in the neck, jaw and ear area. If the fluid in the lymph system stagnates, the toxic soup that surrounds the cells of the area will lead to increased break-outs and the loss of skin integrity, which can lead to sagging and wrinkles. 3. Stagnated lymph fluid in the face can lead to under-eye bags and loss of skin integrity, which increases the signs of aging. 4. Stagnated lymph fluid in the thighs, buttocks and upper arms can lead to the formation of cellulite. 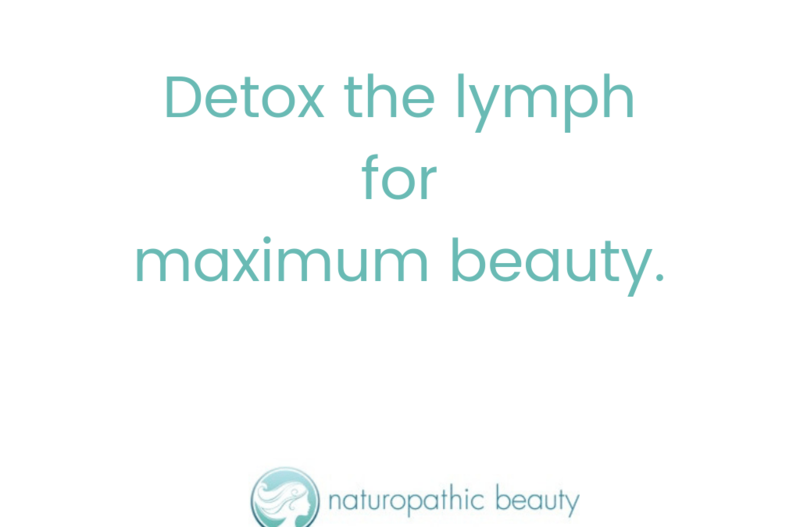 It is clear that our lymphatic system needs to be functioning optimally in order to achieve maximum beauty. And research has recently shown that as we age the lymph system works less optimally – which means we need to pay extra attention to this special system. How do you optimize the function of your lymphatic system? 1. Rehydrate. When you’re dehydrated the lymph fluid becomes very viscous and it is more difficult for a thick liquid to move through the lymph vessels than a thin, light fluid. Drink at least 2L of water and herbal teas per day and ensure your mineral balance is optimized. 2. Exercise. The heart acts like a pump which moves the blood through the cardiovascular system. In contrast, the lymphatic system does not have a central pump and instead relies on the action of our muscles to move the lymph through the body. Daily movement is critical to keep the lymph flowing through the lymph vessels. 3. Dry Skin Brushing is a fantastic way to manually drain your lymph. The gentle friction of a dry brush upon dry skin helps move the lymph through the lymph vessels (and also exfoliates the skin!). Using a natural bristle brush, gently start at your feet and brush in an upwards direction, always towards the heart. See the image below. Dry brush your entire body for 5-10 minutes every day – it is often most convenient to do this just before a shower. 4. Contrast Hydrotherapy is another amazing way to drain your lymph. Allow your shower water to be as warm as possible (be careful not to burn yourself) for three minutes and then allow your water to be as cold as you can stand it for one minute. Repeat this three times. The warm water dilates the lymphatic vessels and the cold water constricts the lymphatic vessels. This widening and narrowing of the vessels creates a pumping action that moves the lymph through the body. 5. Lymphatic massage is a featherlight massage that gently encourages the lymph to move through the lymph vessels. It’s beautiful, it’s wonderful. It feels awesome. Using a jade roller on the face is a great way to gently massage and move the lymph in the face and neck. 6. Releasing jaw tension. Muscles constrict whenever there is tension and this can place pressure on the lymph nodes which can impede the draining action of the lymph from the face. And when lymph stagnates in the face, acne can form. 7. Complex homeopathy. This is my very favourite system of healing and in Europe (where it is very, very popular) it is often called ‘drainage’ because it does just that. It drains the extracellular matrix, which becomes the lymph!!! I have used drainage in my Naturopathic Practice for years, and I continue to use it in my Beauty Programs to help women really clear up their acne. The amazing thing about drainage is that you can be incredibly specific when it comes to prescribing. There are over 76 different remedies and each one help to drain a specific area / function of the body. Maximum Health = Maximum Beauty, whether you are struggling to clear your skin, minimize the signs of aging, stop hair loss – or just look your very best! 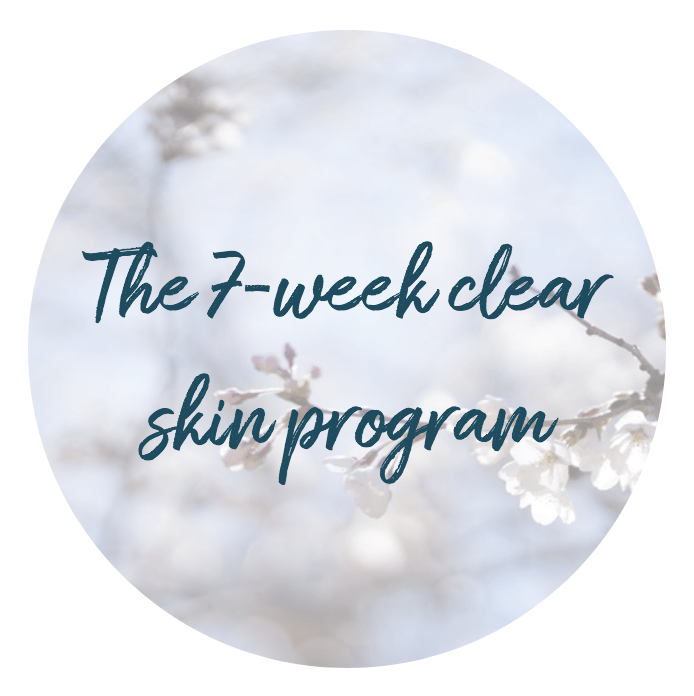 For a complete program to help you look and feel your very best, check out my 7-Week Clear Skin Program, my 8-Week Aging Beautifully Program or my 1:1 Coaching Program. I can’t wait to help you on your journey to maximum health and beauty!